Up and comer recently out with his second album discusses his broad musical interests, his recent European tour, how he got started in the business, Wisconsin’s famous cheese, musicians he’d love to work with, and a whole lot more. At 24, Jefferson Grizzard has a lot to be proud of so far. He just released his second album, Learning How to Lie, last fall. The album, which has garnered a number of rave reviews, was followed by a great companion music video this spring. The Georgia native also did a mini European tour this past winter, with dates in Ireland, Germany, and the U.K. It was his first time performing in Europe, though he has been there as a tourist before. “In Europe, they really take the time to sit down and listen to the music. There’s more of a fan base over there for real music, as opposed to the cookie-cutter pop stuff here in the U.S. There’s more of an appreciation for the art,” Jefferson explained to me during our roughly 50 minute conversation by phone on June 24. “London, in particular, was great for me. A lot of fans over there. I got to talk with a lot of drunk British guys at our London stop. Couldn’t understand a word they said, but we all had a blast,” he added with a laugh. Jefferson also had the opportunity to team up with Robby Takac of the Goo Goo Dolls, recording some tracks at that band’s studio in Buffalo. “Robby’s a great guy. We cut four songs that haven’t been released yet. It was a great experience,” Jefferson told me. Later on this September, Jefferson will be performing at an arts festival in Buffalo that Robby has a hand in. “Mike, my drummer, is from Buffalo, so he has a lot of connections there. I have a lot of fans up there,” Jefferson continued. He counts among the songwriters who have influenced him Jeff Tweedy, Bryan Adams, Tom Petty, Bruce Springsteen, and Bob Dylan. “The first songwriter I really got turned on to,” Jefferson said of Dylan. In his spare time, “I love to people watch, travel, and take in inspiration and information from the world.” A sci-fi fan, Jefferson enjoys watching Star Trek, playing Dungeons and Dragons, and reading. “I have the goal of writing a sci-fi rock opera someday,” he told me. We got into talking about Milwaukee a little bit. Jefferson was here for the first time at the end of this past January for a show at Club Garibaldi. I felt pretty bad for him when I learned that, knowing that he arrived in our otherwise beautiful and hopping city in the middle of one of the longest, most bitter winters we’ve had in recent memory. But it wasn’t all that bad for him. “We stopped off at a roadside cheese shop. I bought the best cheddar cheese I ever bought in my life! That was my cultural experience there,” he told me. Asked about dream musicians he would love to perform or record with, Jefferson presented a well-rounded, all-star lineup: bassist Catherine Popper (“The best bass player I’ve ever seen live”), drummer Glenn Kotche from Wilco, and British singer Laura Marling (“The greatest female voice around right now. The greatest songwriter of the Millennial generation. A great poet, songwriter, and guitar player”). He would also love an opportunity to work with British producer Ethan Johns. 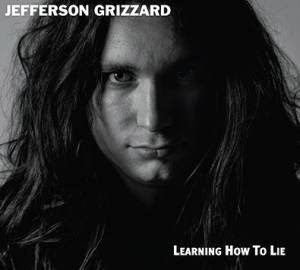 You can learn more about Jefferson and follow along on his journey at jeffersongrizzard.com .